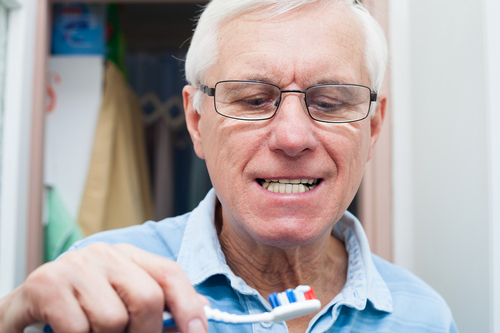 Poor oral health is a risk factor for Alzheimer’s disease, says new research, published in Science Advances. What was not clear was whether gum disease causes the disorder or is merely a result—many patients with dementia can’t take care of their teeth, for example. The study has confirmed that the bacteria that cause gum disease are present in the brains of people with Alzheimer’s, not just in their mouths. The new study, published today in Science Advances, was sponsored by the biotech startup Cortexyme Inc. of South San Francisco, California. Co-founder Stephen Dominy is a psychiatrist who in the 1990s became intrigued by the idea that Alzheimer’s could have an infectious cause. At the time, he was treating people with HIV at the University of California, San Francisco. Some had HIV-related dementia that resolved after they got antiviral drugs. Dominy began a side project looking for P. gingivalis in brain tissue from deceased patients with Alzheimer’s, and—after his work found hints—started the company with entrepreneur Casey Lynch, who had studied Alzheimer’s as a graduate student. Working with labs in Europe, the United States, New Zealand, and Australia, the Cortexyme team confirmed earlier reports that P. gingivalis can be found in the brains of deceased people with Alzheimer’s, and they detected the microbe’s DNA in living patients’ spinal fluid. In more than 90% of the more than 50 Alzheimer’s brain samples, they also spotted toxic enzymes produced by the bacteria called gingipains.